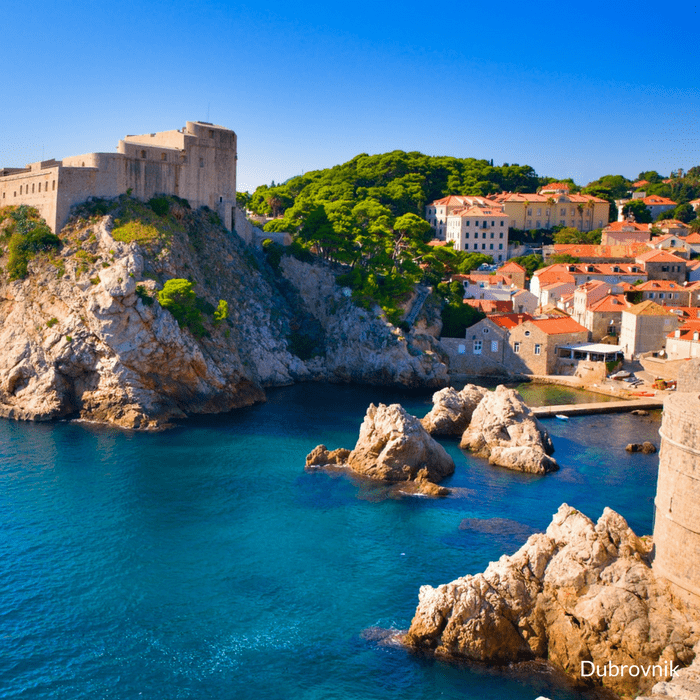 Explore the full length of the magnificent Croatian coast from Dubrovnik to Opatija. Enjoy a high personalised service, delicious onboard meals and a selection of guided tours and gastronomic experiences. 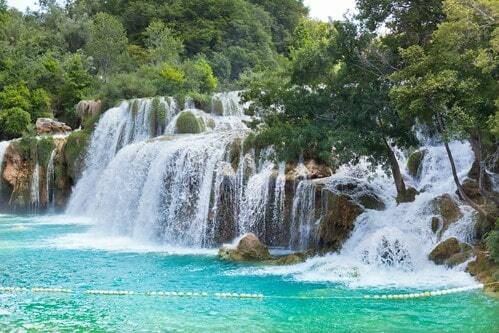 Visit the chic and ever-popular southern Dalmatian islands and explore the lush unspoilt Kvarner islands. 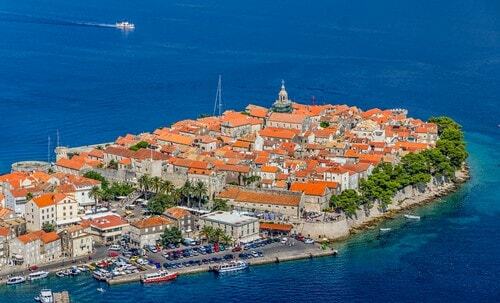 Departure towards Korčula, the birthplace of the famous explorer Marco Polo, also known as ‘the Black Island’, due to the vast pine forests, that once covered almost the entire island. 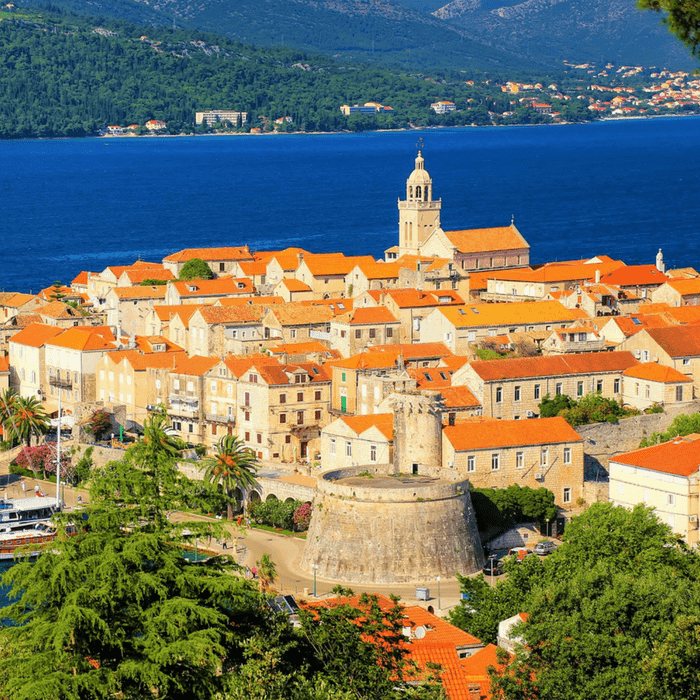 Surrounded by medieval walls, Korčula resembles a miniature Dubrovnik, and is the only place in the world where the Spanish medieval knight’s game – Moreška is performed. Enjoy a stroll with the local guide, through the tiny streets of the old town, where there are numerous konobas, restaurants and cocktail bars. Cruise to Metković, situated on the river Neretva, and a barge excursion to explore the wonderful scenery known for mandarin plantations. Visit Vid archeological museum Nardone, the first ‘in situ’ museum in Croatia exhibiting the remains of a Roman temple – the Augusteum – the impressive marble statues. Discover places where the ancient Illyrians, Greeks, Romans once sailed, and the pirates of Neretva planned their raids. Discover the allure of one of the last swamps on the European continent, its flora and fauna, the diversity of wild birds and the traditional lifestyle of the Neretva people. Captain’s dinner with live entertainment on board. 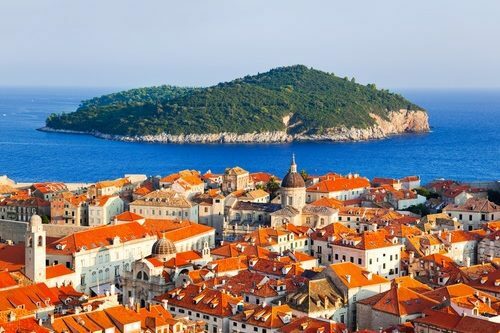 From Metković our cruise continues to fascinating Split, the UNESCO protected capital of Dalmatian region and the second largest city in Croatia that was once the palace of the Roman Emperor Diocletian. The Diocletian’s Palace makes the core of the Old Town, incorporating an eclectic combination of Roman temples, Gothic palaces and modern Mediterranean-style stone houses – a simplification of rococo and baroque style. Upon arrival, the local guide will accompany us through the bustling Old Town and market. Overnight in the port. 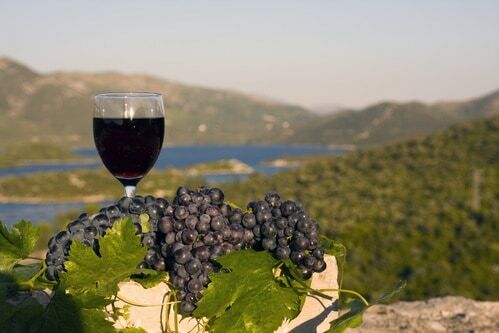 Cruise towards Skradin from where we go to Bibich winery for a spot of wine-tasting followed by exploring national park Krka. We will have the opportunity to visit “Skradinski Buk”, the most popular part of the waterfall area, where the Krka rushes 45.7 metres down. Ensure you do not forget to bring your bathing suit – a swim in the clear waters of the River Krka just below the falls is a truly unique experience. 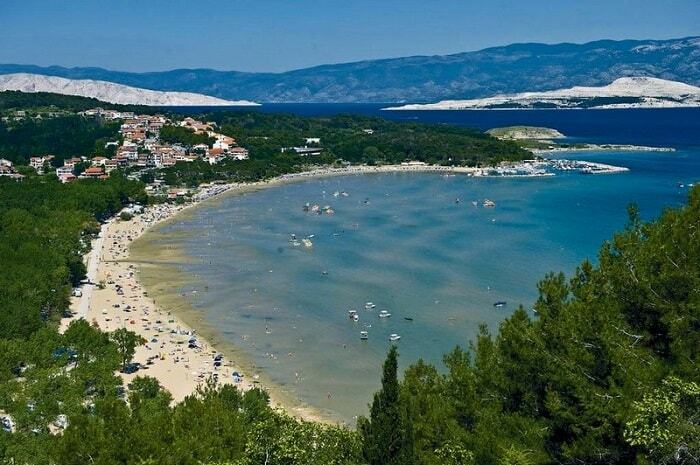 We will sail towards the historical city of Šibenik, situated almost at central part of the Croatian Adriatic coast. 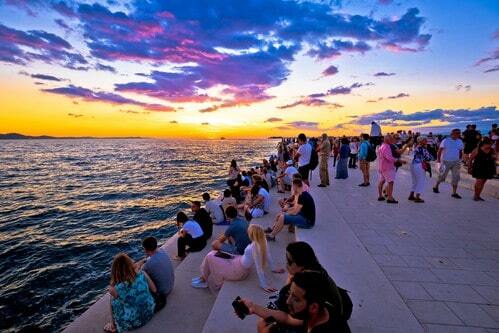 We cruise along to Zadar, the oldest university town in Croatia, famed for its rich historical heritage. This is visible at every step, from the Roman Forum of the 1st century, St Donat church from the 9th century and the mighty city walls with a bow and a representative city gate from 16th century. You will also have the chance to visit the impressive Museum of ancient glass, the churches in the old town, palaces and villas as well as the famous Sea Organs and “Greeting to the Sun” light installation on the city’s waterfront. The Guided city tour will be followed by Maraschino liquor tasting. Morning cruise towards Rab, the “island of love”. Sightseeing of the town which is surrounded by medieval walls, Romanesque church towers, churches, palaces, stone streets and ancient facades. Enjoy the “gallery” on the streets and squares where many painters and artists exhibit their works. Guided city tour followed by Rab cake demonstration and tasting. According to the legend, the recipe for Rab cake was created by nuns in the monastery when catering to the visiting Pope. You will have the opportunity to take a taxi uphill to enjoy the magnificent sunset and a glorious view of Rab and surrounding islands. 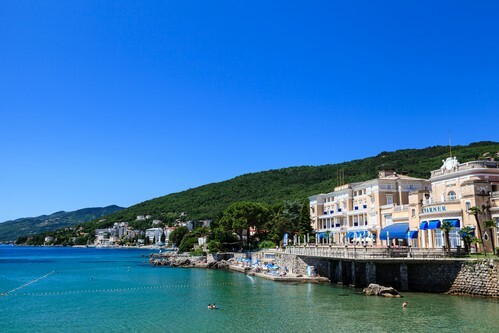 On route to the final destination, experience magnificent views of the famous Opatija Riviera. Orientational guided tour of Opatija with a visit to Kraš Choco bar to try delicious chocolate cocktails, drinks or ice-cream as they are one of a kind. 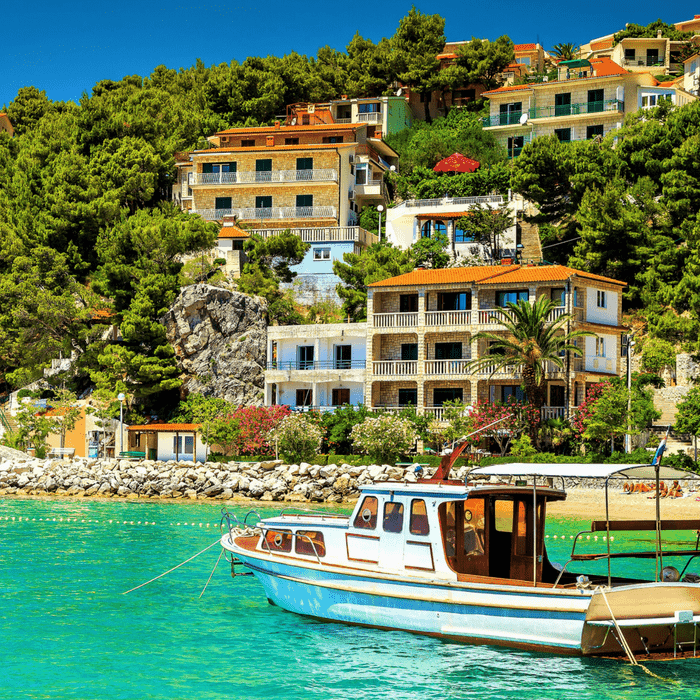 Take a stroll along the famous Franz Joseph promenade – Lungo Mare to nearby fishermen’s village Volosko – well known for the best seafood restaurants in Croatia. Farewell dinner evening on board with live entertainment and overnight in the port of Opatija. 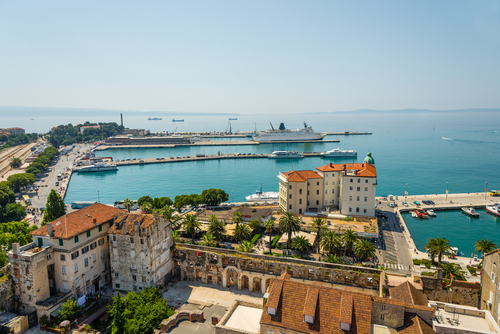 After breakfast say goodbye to the crew and a private transfer to either Zagreb Airport or to your hotel for an extended stay to explore the Istria Peninsula.